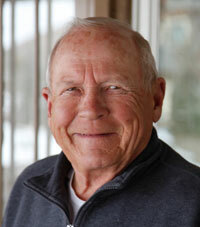 After serving for 13 years on the Hailey City Council, 83-year-old Don Keirn is running for re-election this fall. Keirn has held his position as a council member since 2001, and this will be his fourth campaign for City Council. Having served for 10 years as the economic and growth management director in Boise from 1987 to 1997, Keirn said that his experience in that position has shaped his perspective toward working for the city of Hailey. He said in an interview that his Boise background has led him to support initiatives such as the development-impact-fee ordinance. That law enabled the city to charge fees to new developments in order to handle the increased demands on the its services. “It really allows growth to pay for itself, by making development more attractive to the governing body, knowing that the fee will offset the cost,” he said. During his time on the council, a local-option tax was approved, which Keirn labeled as “minimal impact.” Through a percentage tax on liquor, restaurant food, rental cars and hotel rooms, the action has brought in roughly $300,000 per year to the city. Keirn also takes pride in the implementation of the city’s Urban Renewal Agency, in an effort to apply tax-increment financing to infrastructure costs. Looking forward to the possibility of another term, Keirn named his first priority as promoting the bond initiative to finance and construct a new biosolids facility. He also expressed a hope that in the future more of the public will attend City Council meetings and make themselves heard. Keirn said his experience as a public official in Boise and over the last 13 years is an asset to the City Council. Along with working toward a new master water plan for the city, Keirn feels there are several critical issues that he would like to address in the future.